Remember those hard Jolly Rancher candies you couldn't resist as a kid? You're going to love them even more as an adult because it's time to enjoy the Jolly Rancher as a cocktail. 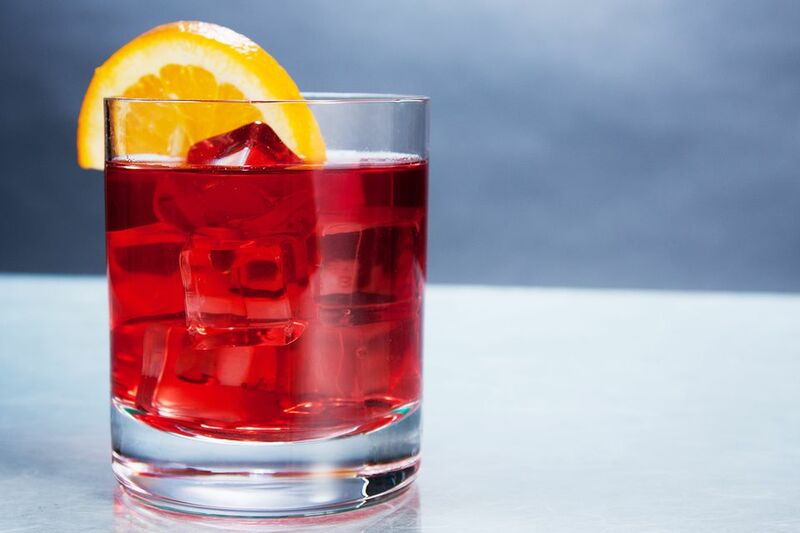 The Jolly Rancher is a great way to dress up the popular Cape Cod (or vodka cranberry). It is, quite simply, a mix of apple vodka, peach schnapps, and cranberry juice. It all combines for a refreshing mixed drink with a taste that can easily take you back twenty years. This fruity recipe is incredibly easy to make. With just three ingredients, the frugal drinker can quickly mix up the Jolly Rancher on the cheap. It's also versatile enough to be served as a stylish martini, a fruity punch, or a tasty party shot. Pour the vodka and schnapps into a highball glass filled with ice. Top with cranberry juice and stir. The Jolly Rancher can be served however you like and be modified to fit any occasion, from casual to fancy. To make the highball version a little more refreshing, top the Jolly Rancher with ginger ale. Transform your Jolly Rancher into a high-class martini by shaking the ingredients and serving it "up" in a cocktail glass. This recipe is an ideal candidate for a party punch. Keep the ingredients in proportion and scale the recipe up. A little ginger ale or club soda will add a nice sparkle as well. Create a Jolly Rancher shot that goes down smoother than most. Pour 1-ounce of each ingredient, shake the drink with ice, then strain it into two or three separate shot glasses. The Jolly Rancher is the perfect candidate for a fun jello shot, too. Just pick up a package of cranberry gelatin and skip the juice. You will find no shortage of apple vodka options. A homemade apple vodka infusion is one of easiest and a great project for beginners. There are also plenty of apple-flavored vodkas available on the market. If you prefer to buy your vodka, any liquor store should have at least a couple options. They range from inexpensive to top-shelf and can be crystal clear or a bright green. A green-colored vodka will alter the look of the drink, but that's perfectly fine because the Jolly Rancher is all about the taste. UV Green: This is the greenest of all green apple vodkas you will find. A bottle doesn't cost much at all and the color is a fun addition to any bar. If you like UV Blue, you'll love this one. Smirnoff Green Apple: Many liquor stores stock a nice selection of Smirnoff's flavored vodkas and it's one of the best budget-friendly brands. Their green apple vodka is as clear as any unflavored vodka and it tastes pretty good for the price. Effen Green Apple: If you're looking for a top-shelf vodka, Effen Green Apple is one of the best options. It has a super clean taste and the green apple flavor is true to the source. Van Gogh Wild Appel: It may not be flavored with green apples, but it does have a great apple flavor. Van Gogh's apple is another premium option and it's typically pretty easy to find. How Strong Is the Jolly Rancher? The Jolly Rancher is a very mild cocktail, which makes it perfect for happy hour or anytime you want a casual mixed drink. Most flavored vodkas are bottled at 35 percent alcohol by volume (ABV), so they're a little lighter than standard vodka. When you mix that with the popular Peachtree (24 percent ABV), the drink weighs in around 9 percent ABV (18 proof).